Mobile working is a tough enough without having the constant worry that your phone’s just about to die. With handheld devices and smartphone apps having become such essential tools for today’s workers, running out of battery life can create some serious headaches for a mobile operation. This continues to be a challenge because while the power of the devices continues to increase, so do the power demands on the battery. A 2018 study revealed that battery life for many of the top selling devices has been steadily getting worse in recent years as their processing power increases. This ongoing power problem means it has never been so important for workers to have a trusty back-up power bank. 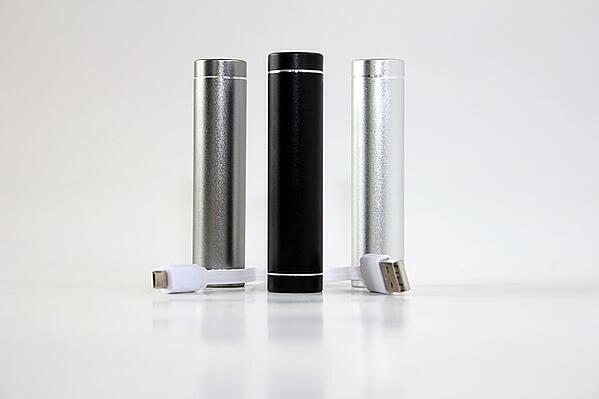 These are portable chargers that can be kept in a pocket or stored in a glove compartment. The amount of power that’s stored on a charger is measured in amperes (mAh). To give you a better idea of how the numbers translate to power, a standard AAA battery holds around 1000mAh. A typical smartphone will require around 3,500mAh to fully charge. This is constantly increasing, however, with some of the newer models hitting 4,000mAh. The default way power banks connect to a device is from a standard USB to a micro USB connection. The only thing you need to check is that it’s compatible with Android or iPhone devices. But you also need to consider how the power bank itself is charged - whether it has to be done via a mains adaptor or using a USB-C connection. The more options, the better for mobile working. This depends on how the device is going to be used - whether it’s going to be carried or stored in a vehicle. Generally, there’s a trade off between the size of a device and the amount of power it can store. The more portable a charger is, the more options a mobile worker has on how it’s used. Being able to easily carry a charger around allows a phone to be recharged while in a pocket or on a utility belt. Yes. If you’re buying from a known brand, the devices will be perfectly safe - they’re more than capable of handling the rough and tumble of fieldwork operations. It’s one area where choosing unknown brands and low-cost options can raise the risks. It means there’s no guarantee that devices have been rigorously tested to ensure safety. As an all-rounder, the Pebble P-1 is hard to beat. It’s small enough to fit in a pocket while having enough power to recharge a smartphone two or three times. It also provides two USB ports to enable two devices to be charged simultaneously. This is a great choice for mobile workers who need a device tough enough to handle the rigours of a working environment. With sealed ports, it’s designed to handle dust and water - dropping it in a puddle isn’t a problem. It also features a handy integrated torch light. If portability is what’s important, the PowerCore’s tubular shape is designed to let it slip easily into a pocket next to your smartphone. It’s a no-frills charger but it packs enough power to fully charge any smartphone or tablet. If a power bank is going to be kept in a vehicle or permanent location, this option is worth considering. What you lose in portability - yes, it’s fairly hefty - you gain in power and convenience. This can handle four devices at the same time and has enough power to fully recharge a typical smartphone 14 times over. You can also use it to recharge a laptop. Another solid all-rounder. This is small enough to fit into a pocket or utility belt and delivers enough power to fully charge a smartphone five or six times over. It can recharge two devices simultaneously and features smart technology to ensure the maximum possible speed for charging each device.